A tourist has reportedly drugged an Orangutan and attempted to smuggle it to his home country of Russia. 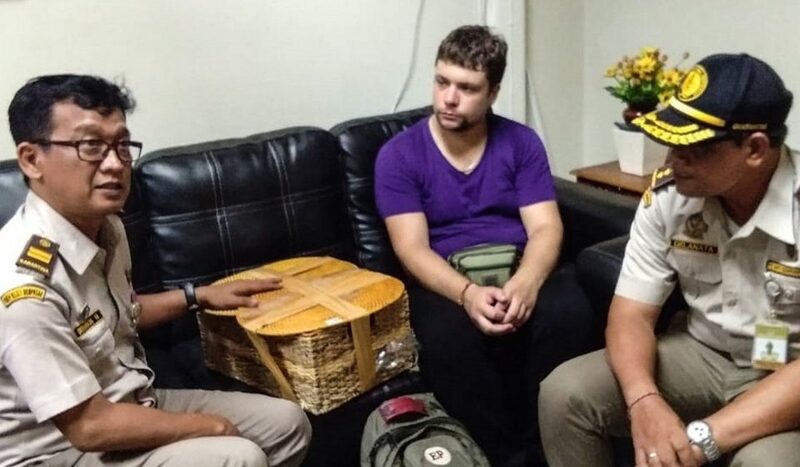 Andrei Zhestkov, 27, who was about to board a flight back to Russia, was detained at Denpasar’s Ngurah Rai Airport after a security screening on Saturday, 23rd March. He was found to have fed the two-year-old male orangutan allergy pills, before keeping it in a rattan basket inside a suitcase. “We believe the orangutan had been fed allergy pills which caused him to sleep. We found the pills inside the suitcase,” Bali conservation agency official I Ketut Catur Marbawa said. Police also discovered two live geckos and five lizards inside Zhestkov’s suitcase. In his statement, Zhestkov claimed that the orangutan was a gift to him from his friend, another Russian tourist. He claimed the friend purchased the primate for US$3,000 from a street market in Java. The same friend had encouraged him to bring the orangutan to Russia and keep it as a pet. According to the police, Zhestkov could face up to five years in prison and be subject to a fine of up to US$7,000.